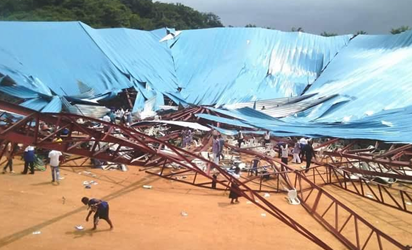 The atmosphere in the Akwa Ibom State capital has become tense following the ongoing investigation into the collapsed Reigners Bible Church, Int’l Uyo by the Commission of Inquiry set up by the state government. The Commission which is headed by Justice Umoekoyo Essang (RETD) commenced its fact-finding on the controversial tragic event of January 4, 2017 at the State Judiciary Headquarters, Wellington Bassey Way, Uyo. Majority of Akwa Ibom citizens are waiting impatiently to know the outcome of the ongoing investigation this week as the Commission was given 14 days to conclude its investigation and then submit its report. It is even being speculated that the investigation would be completed this Friday, January 20, 2017. Although different people have expressed divergent opinions on what the outcome would be, there are some who believe that it was not proper to predict the likely outcome until the Commission completes its investigation. However, recent developments show that the commission may not be able to conclude the investigation within the first 14 days especially as about six witnesses that had already filed their memorandum are yet to testify. Collapsed structure of Rune Reigners Bible Ministry, a new generation Church located on KM 1, Uyo. Conclusion of investigation It was even gathered at the weekend that the Commission has applied for extension of time even though the new date for conclusion of investigation was not known at the time of filing this story. The Chief Medical Director of Anua General Hospital, Uyo, and other proprietors of private hospitals in the state where the state government said casualties were taken for treatment have been invited to testify. This is as a result of the lingering controversy over the conflicting casualty figures. 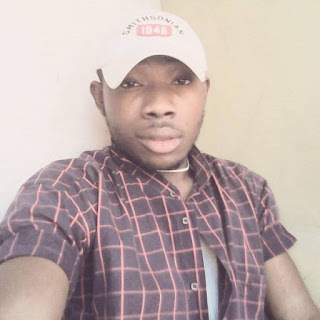 A human rights lawyer and counsel to the dead and injured victims, Clifford Thomas, had last Friday applied to the Commission to issue summons to proprietors of private medical facilities where the state government said some of the casualties were admitted. Thomas made the application during the cross-examination of Commissioner for Health, Dr. Dominic Ukpong, last Friday. The health commissioner in the memo or written testimony submitted to the commission had put the casualty figure at 28. But human rights and civil rights groups in the state had contested the figure. Thomas demanded that private proprietors of hospitals where the state government said some of the casualties were taken to for treatment should be invited for cross examination. He was of the opinion that testimony of the doctors would help the panel ascertain the ‘true number of casualties’ and put an end to the conflicting figures given by government and those by members of the public. But Dr Ukpong during the cross examination had said: “The public is not necessarily the experts when it comes to health matters. When there is mass casualties somebody in the public who has not been trained in medics who looks at what happens will see many people unconscious. But an unconscious person can recover on the road to the hospital, can recover 10, 15, 20 days after the accident. So, the right person to give the correct figure is the person trained to be able to certify and determine the person who is dead”. So far about 11 witnesses, mostly those from the building profession that submitted their memorandum to the Commission earlier, have testified. Those that have testified include the General Overseer of the collapsed Church and principal witness, Apostle Akan Weeks; Nigeria Society of Engineers, NSE; Uyo Capital City Development Authority, UCCDA; Chief Medical Director of University of Uyo Teaching Hospital, Prof Etete Peters; Nigeria Institute of Building, NIB; Nigeria Institute of Architects, NIA; Commissioner for Health, Dr. Dominic Ukpong; Etido Ekerete Udoh, a staff of UCCDA and Fintel Safety Limited. Meanwhile, the evidences given by Apostle Weeks and witness of UCCDA, Mr. Effiong Akpan, Head of Development Control and Etido Ekerete Udoh (Chief Clerical Officer) during cross-examination appear to have attracted a lot of public attention and sparked fresh arguments among members of the public. Effiong Akpan of UCCDA testified that the Reigners Bible Church did not submit any building plan to them and that they did not give any approval to the developer to go ahead with the building construction. He was quick to conclude that: “The Reigners Bible church collapsed because due process was not followed”, adding that the structure and others are located in areas considered erosion-prone and designated as ‘Green Areas’ in 2000 by the state government. He listed the affected locations within Uyo that the state government declared as ‘Forest Reserved Areas’ to include Ikot Ntuen Offot, Ekpri Nsukara, Tributaries of Ikpa River (Idim Ikpa), Nduetong Oku, and even some aspects of the permanent site of the University of Uyo. The UCCDA also said that was the reason on October 5, 2011 Weeks had applied to the Land Use Allocation committee for the issuance of Certificate of Occupancy, C of O, but he was not given. But Weeks earlier in his testimony said he submitted the building plan and other building documents to the UCCDA even as he revealed that he only received verbal approval later from an official of UCCDA, Etido Ekerete Udoh during a telephone conversation. Weeks had also told the Commission that he paid the sum of N300,000.00 as approval fee to secure some of the documents required by the UCCDA, adding that he even submitted the survey plan and the structural design to UCCDA office himself. Certificate of occupancy on his part, Udoh who is also a pastor with Dunamis Church and staff of UCCDA, testified that the time he was invited to meet with Weeks that the Church construction was already above the lintel level. He also testified that the N300, 000.00 was for securing some documents for him and not approval fee for the building plan. The money, according to him, was not also paid to the UCCDA but to him on personal transaction. From this, it has become difficult to know who between Weeks and UCCDA officials that are actually telling the truth pending the conclusion of the Commission’s investigation. Many in the state, however, view evidences by Weeks and UCCDA during cross examinations as embarrassing and confusing. Some even blamed the state government for lack of enforcement after it had declared the areas unfit for construction of buildings. Accordingly, the Nigerian Institute of Town Planners, Akwa Ibom State Chapter, Acting Chairman, Dr. Beulah Ofem, had in a press statement in Uyo submitted thus: “It is pertinent to state categorically that the collapsed church building site was not supposed to have been developed as the area was exclusively declared a conservation area which is erosion-prone. Medical needs of the affected persons “Thus we did not expect professionals from the built environment to be involved in the development of such a structure in that area without declassification and due approval from the governor of the State”. The Institute noted with sadness that the project developer, some professionals in the built environment and building artisans that participated in the development of the collapsed illegal structure, were well aware that once a structure is marked “X” by the relevant authority, it means stop work. “However, to forestall the re-occurrence of such incident in the state, the government should: Urgently domesticate the 1992 Urban and Regional Planning Law which has been lying unattended to in the Ministry of Justice since 2012, to provide the needed legal framework for effective physical development control and management in the state.